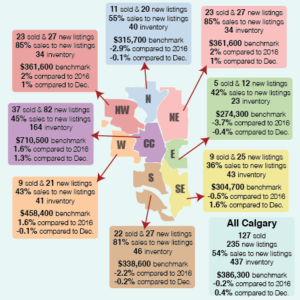 City of Calgary, April 2, 2018 – As expected, slow sales this quarter have persisted through March in the City of Calgary. This is not a surprise, after stronger growth in sales at the end of last year following the announced changes to the lending market. Spring will have more inventory than last year, slowing progress on price recovery.